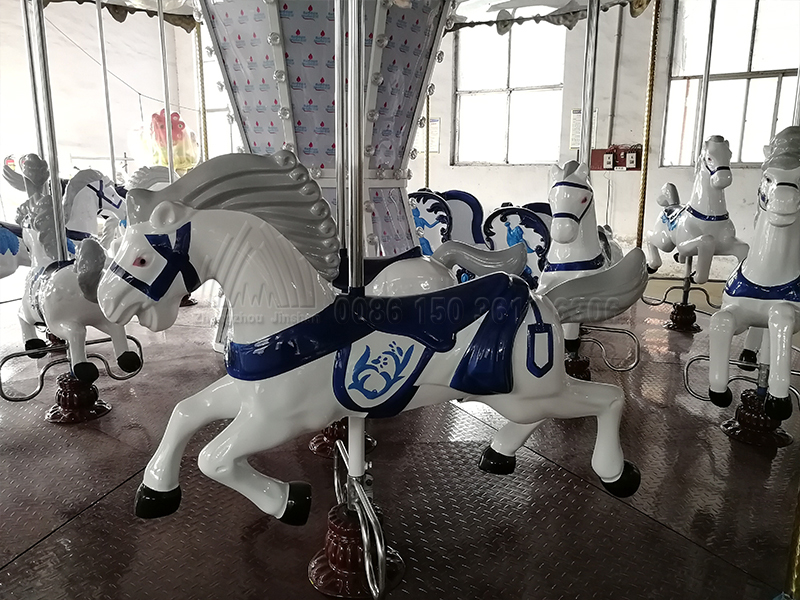 We finished the production of customized carousel for Kenya client. This is his second order. 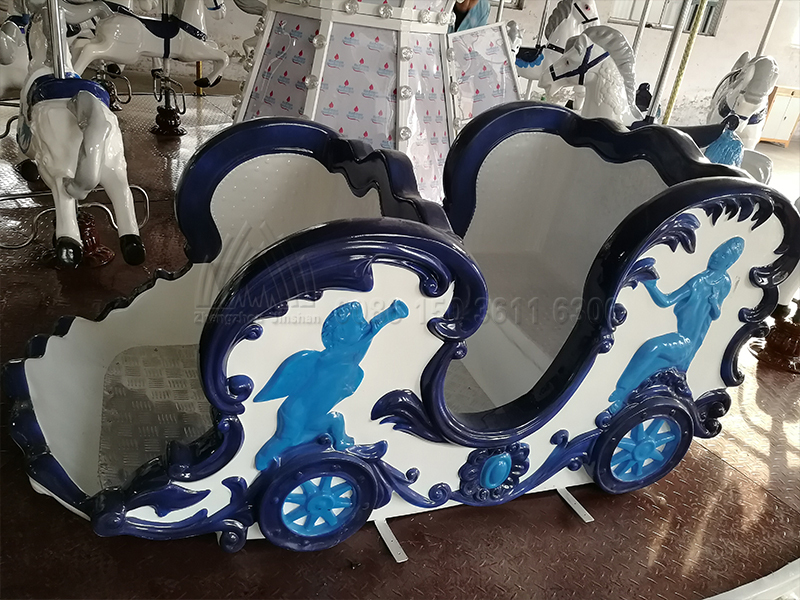 This carousel is simple but not easy design, we didn’t make it in common colorful color, just choose simple blue and white color, meanwhile, we print customer’s logo on the top cornice decoration and center column, to create a low-key and luxurious feeling. 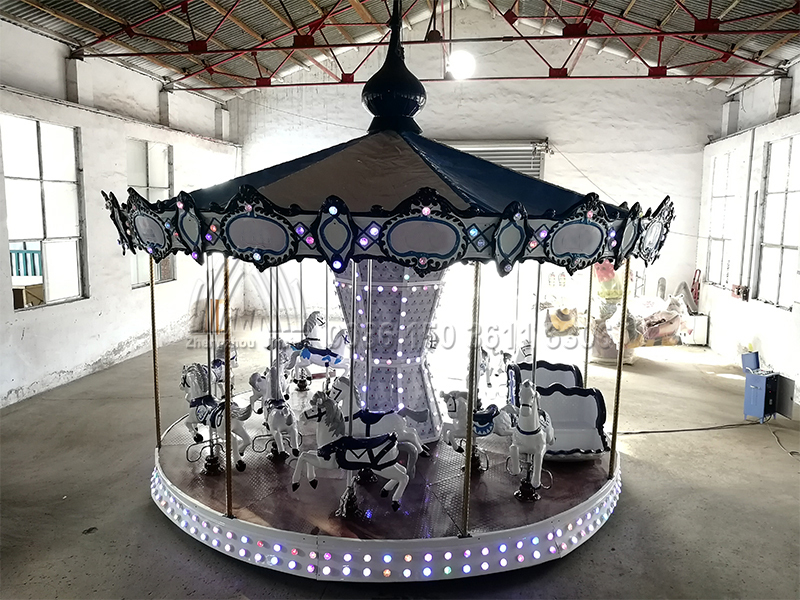 Client will set up this carousel next to the artificial lake in a shopping center. After he finished installation, we believe that it will be a beautiful scenery under the blue sky and white cloud, and attract passenger play it again and again! Prev： Our Kazakhstan Customer’s Mechanical Bull Is Ready! 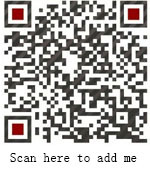 Next： Client Received Rides and Very Satisfied With Our Products and Packages!